Smith&Wesson M&P9 Shield 9MM – Florida Gun Supply "Get armed. Get trained. Carry daily." Laser? Choose an optionNo, I don't want a laser.Yes - Red Crimson Trace Laser. Tritium Night Sights? Choose an optionNo night sights.Yes, Tritium Night Sights, please. Ported barrel? Choose an optionNo, not ported.Yes, ported please. Smith & Wesson M&P9 Shield: Ultimate Conceal Carry Firearm! The Smith&Wesson M&P9 Shield is arguably one the most popular conceal carry firearms in the United States today and we have them for sale at our shop and online gun store! 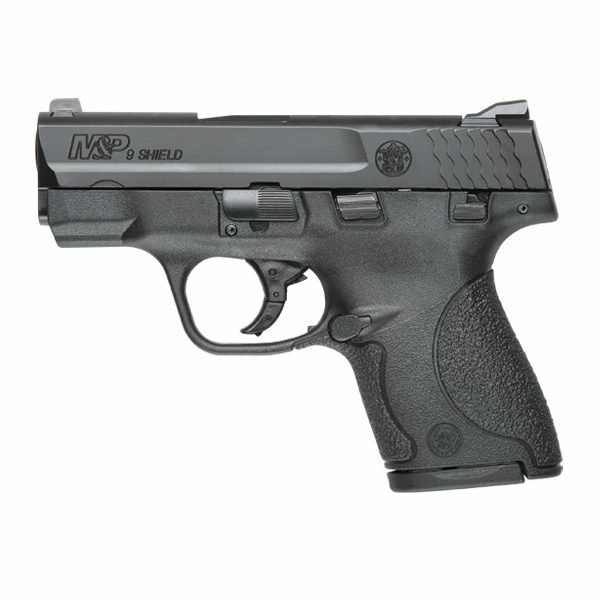 We HIGHLY recommend the M&P Shield 9mm! We love the Shield so much that even the owner of Florida Gun Supply carries one! This is simply one of the best concealed carry firearms on the planet. 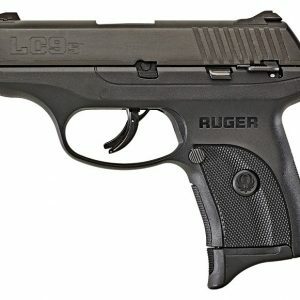 Price: It’s absolutely an affordable gun! Warranty: Smith & Wesson has a lifetime warranty on all Smith & Wesson Shield 9mm pistols! 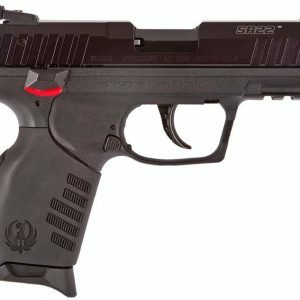 Here at Florida Gun Supply’s online gun store, we like to let people know about the firearms we stock – and the shield is one that we enjoy most of all. The slim frame and excellent trigger pull is the main reason why we, and many other people love the M&P9 Shield. Being so slim, the firearm features two single stack magazines. One has an eight round capacity with a magazine adapter to fill the space between the magazine’s well and floor plate. The other magazine is slightly shorter and has a capacity of seven rounds. The Smith & Wesson M&P 9 Shield has external features that are sometimes not found on handguns of the same size. The major features are the sights and the manual safety. 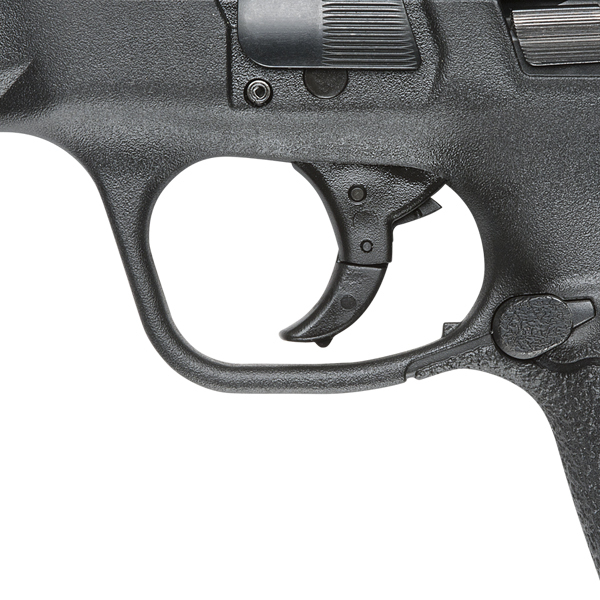 The Shield has drift adjustable front and rear sights that display the standard three dot picture. The optional manual safety is right hand activated and is a simple thumb lever. 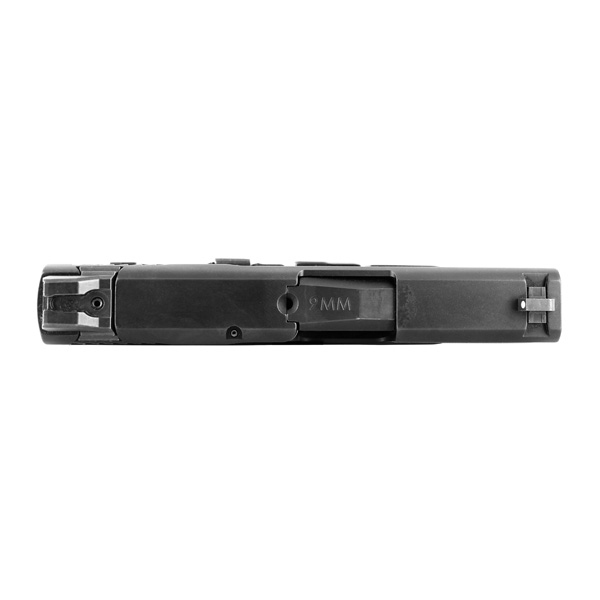 The slide stop/release is also right handed only and is activated by an empty magazine so that after the last round is fired, the slide will stay back until the user deactivates the slide stop. 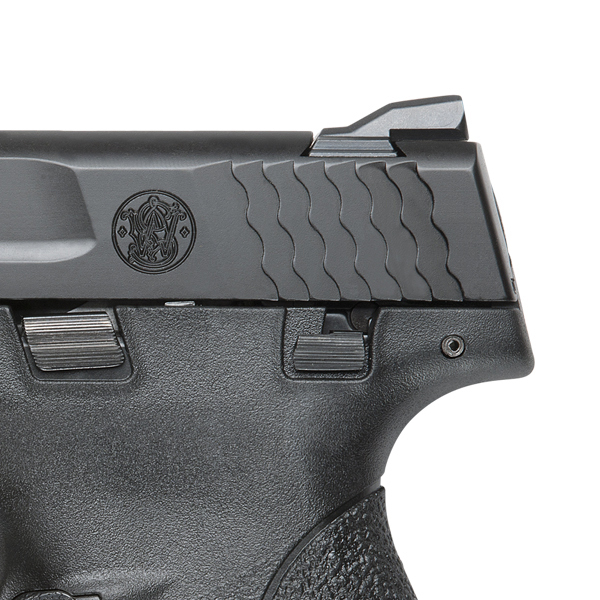 The teardown process of the Shield is very simple just like the other M&P Series pistols. It features the standard rolling takedown pin and can be disassembled and reassembled in less than a minute. All of these features are low profile in reference to their location on the firearm so that nothing will get hung up on the draw, but it still protrudes enough that it is easily accessible to the shooter. 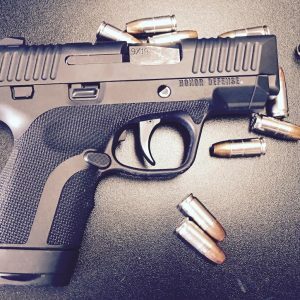 What are the benefits of getting the PORTED 9mm Shield? “To port” or “Not to Port” – that is the question. A ported gun has the unique ability to reduce (or entirely eliminate) recoil after each shot. This can help you get back on target much faster, and can lead to a more accurate shot placement if you’re firing in competition, combat, or rapid fire. Most people think that a ported gun is going to make the shooter feel less recoil – but this isn’t technically true. The recoil is still 100% there – but the gasses escaping from the port of the gun makes your gun come back down (and back on target!) faster. Feel free to take a look at the video below to decide if you should get a ported Shield 9mm or a regular one. How many magazines does the Shield 9mm come with? The Smith & Wesson Shield 9mm comes with two magazines. It comes with a smaller magazine and a larger capacity magazine. What is the capacity of the S&W M&P Shield 9? The Shield has two magazines that come with it – one with an 8+1 capacity, and the other with 7+1 capacity. 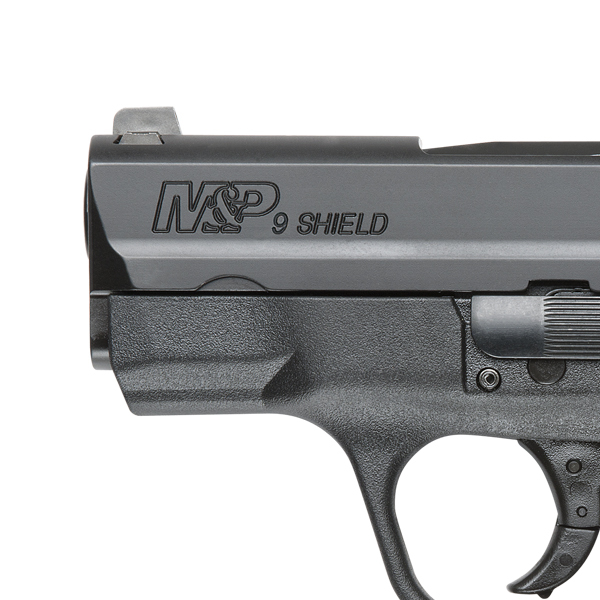 What makes the M&P Shield 9mm such a great carry gun? Smith & Wesson M&P Shield 9mm: Thumb Safety or No Thumb Safety? The Smith & Wesson Shield 9mm (and the Shield .40!) have two options: WITH or WITHOUT a thumb safety. The question of thumb safety or no thumb safety is entirely up to you, but here are some things to think about. 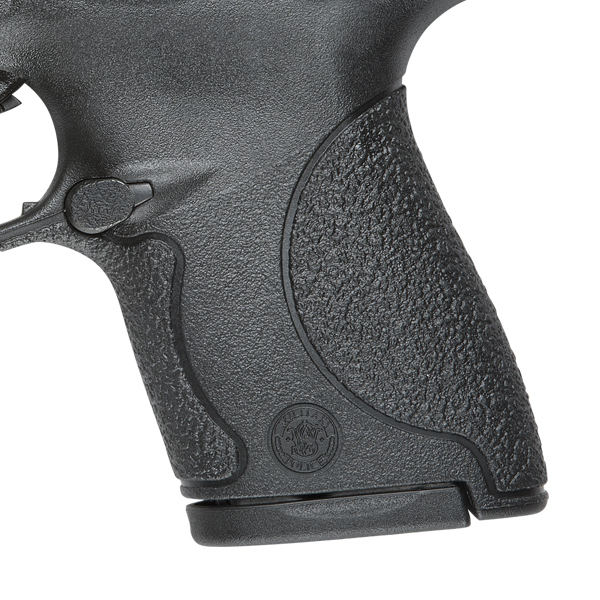 Remember: If you purchase the version WITH the thumb safety, you can always carry with the safety OFF if you desire – but if you purchase the Shield 9mm with no safety, you don’t have an option. Is the Shield 9 worth the money? Yes, yes, and yes! 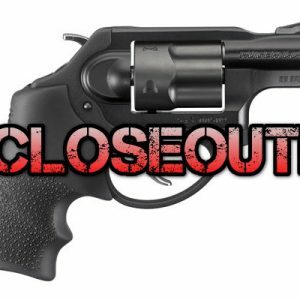 Buy it now – these guns get sold quickly! No, I don't want a laser., Yes – Red Crimson Trace Laser. No night sights., Yes, Tritium Night Sights, please. No, not ported., Yes, ported please.